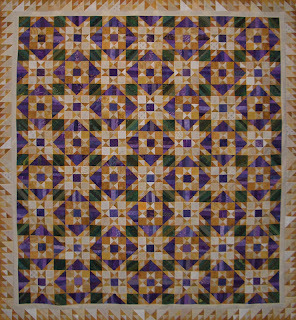 This week I am happy to report two finishes both of them Mystery Quilts from 2011. 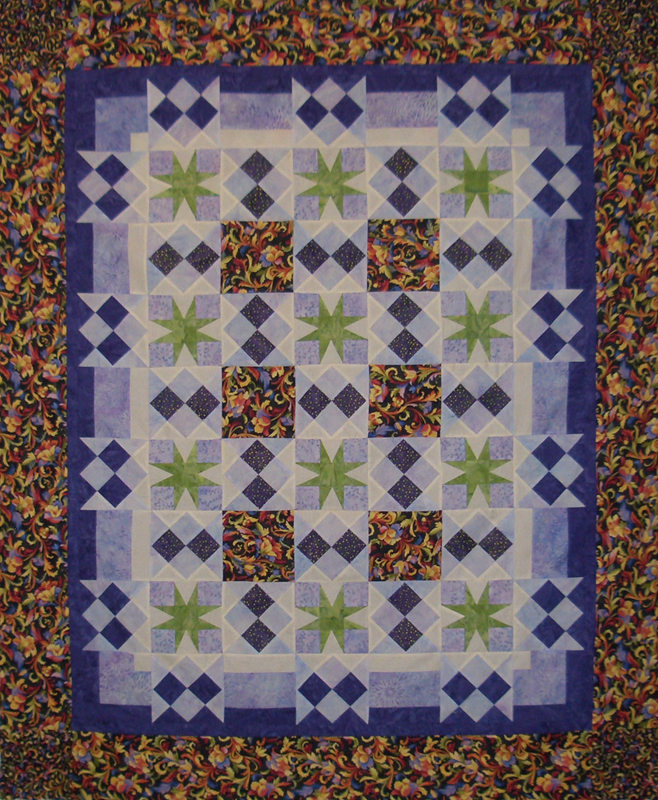 Orca Bay a Bonnie Hunter design and Secret Garden from Quiltmaker Magazine. 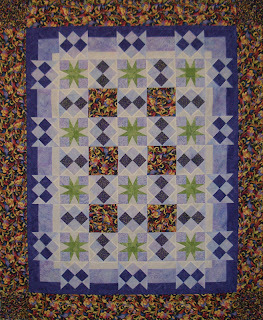 Nice to have them both complete and used all fabrics from my stash! So here are my new numbers and I am now in the positive- what a nice feeling!!! 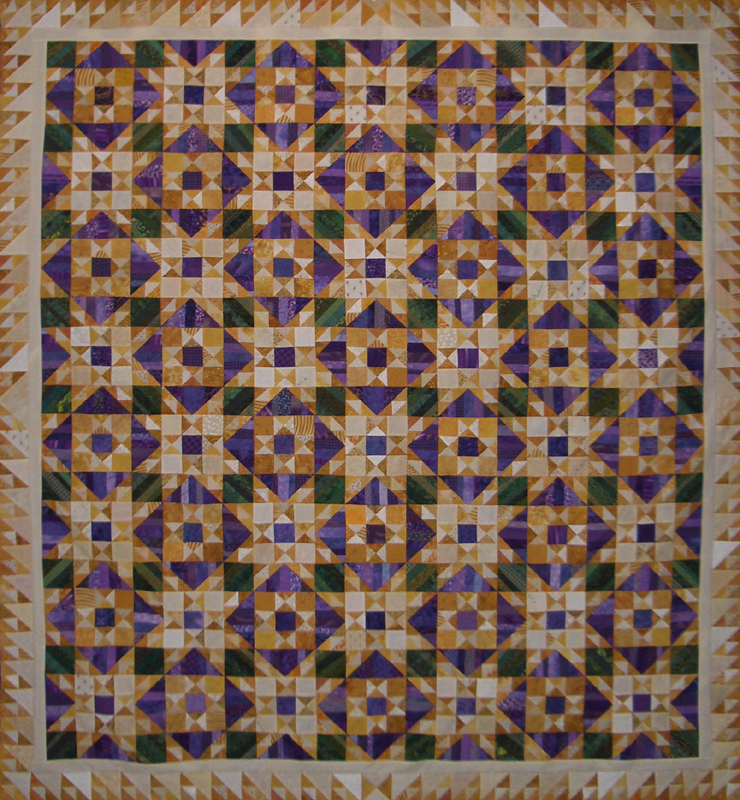 This week finds me on vacation in Mammoth Lakes for some skiing, relaxing and some sewing. I always bring my sewing machine on vacation to catch up on my sewing and hopefully get a few things completed. 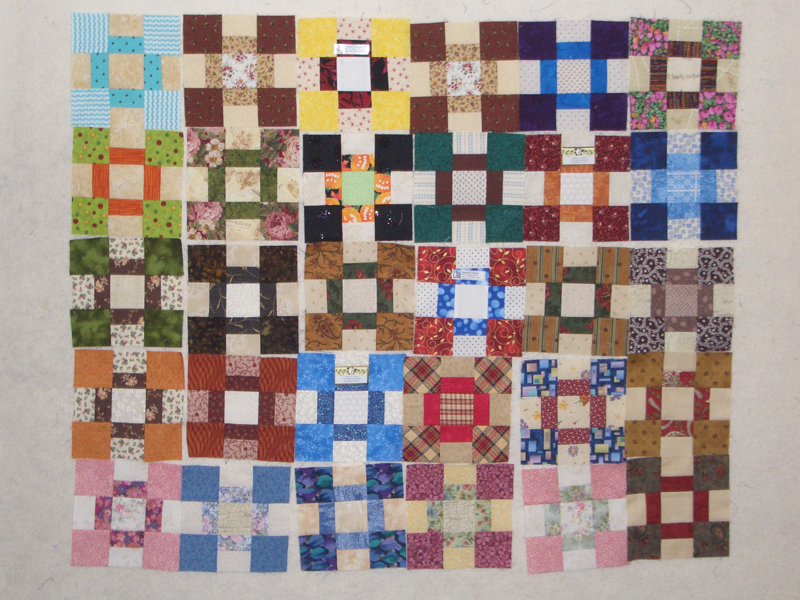 Below is a my Quiltmaker mystery quilt started in 2011 which should be completed in the next few days. 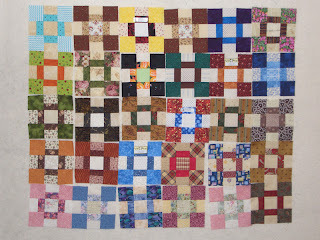 Started sewing the blocks together and will add a couple of borders. I also brought along my Bonnie Hunter Mystery"Orca Bay" which I also hope to complete. Will update you on my progress later this week. As for my Stash Report, nothing added this week and nothing used. Hope to change that by the end of the week. Check out how everyone else did last week at Patchwork Times.